Tip toe through the tulips with us next spring! The Tulip Time Festival is an annual event in Holland, Michigan – the center of Dutch culture in America. From reserved seats see the Muziekparade featuring street scrubbers in Dutch costumes & wooden shoes, floats and bands. Enjoy a guided tour of Holland with its tulip-lined streets and authentic windmill. Marvel at the sight of acres and acres of blooming tulips at Veldheer Tulip Gardens-tulip bulbs available for purchase here. Experience a landmark of Victorian elegance and charm – the Grand Hotel of Mackinac Island. Listen to the harpist at afternoon tea. Unwind in a rocking chair on the magnificent porch lined with American flags and red geraniums. Savor fine dining while a stringed ensemble provides pleasant background music. Relish the tradition of horse carriage rides around the island. There is no place on earth like this place – the Grand Hotel of Mackinac Island. Get ready for the most creative, fun trip ever - the Summertime Mini-Mystery Tour - where you won't know where you will be going from one event to another. Not only will you be visiting interesting places, but you'll be doing so amidst a special theme complete with witty clues, giveaways, games, costumed tour directors, unique entertainment and festive activities. All aboard the Rocky Mountaineer Train for the experience of a lifetime on the ‘most spectacular train trip in the world!” As you ride in comfort, be pampered by Rocky Mountaineer’s Gold Leaf Service featuring the Bi-level Glass Dome Coach for panoramic viewing, hot gourmet meals created by Executive Chefs, morning scones and afternoon wine & cheese, and exclusive outdoor viewing platform revealing a non-stop parade of glorious living postcards. Delight in the beauty of the Mississippi River Valley on a full day, 100 mile cruise aboard the Celebration Belle. Cruise from Dubuque to Bettendorf while enjoying a full breakfast, lunch & prime rib dinner as well as narration by the captain, live entertainment, activities, travel through 3 locks & dams and views of majestic bluffs. A land of big sky and wide-open spaces with wild horses and roaming bison, North Dakota celebrates its remoteness as one of America’s last frontiers. From Fargo and the rolling prairies of the East to Medora and the rugged terrain of the West, you’ll be amazed at the variety of attractions on this exceptionally designed itinerary. If you are looking for an unique destination and have never visited North Dakota, this is the perfect time to do so! Come along with us as we visit beautiful Cape Cod. A guided tour of this pine-scented peninsula will highlight bustling harbors, sea captain homes, and the Cape Cod National Seashore with its pristine beaches and windswept dunes. Visit Hyannis, home of the Kennedy family, to see the John F. Kennedy Memorial, Korean War Memorial and St. Francis Xavier Church. Join us on this American Classic Tour to Cape Cod and Boston next September! This special getaway features not one, but three spectacular train excursions throughout Colorado: Durango & Silverton-voted one of the top train journeys in the world; Cumbres & Toltec-America’s most authentic steam rail through the San Juan Mountains along the Colorado & New Mexico border; and the Royal Gorge Train. Journey to the summit of Pikes Peak to view stands of of Colorado blue spruce & Ponderosa pine. Willkommen to Frankenmuth - Michigan's Little Bavaria. This charming village is known for its well tended flowers, lush greenery, Bavarian architecture and its annual Oktoberfest. Celebrate German culture with German food, German dancing, live bands playing German music and of course, plenty of beer! All aboard the Algoma Central Railway for the Agawa Canyon Fall Foliage Train Excursion. View the Canadian wilderness of hills and ravines draped in brilliant fall color from the comfort of the train. Full breakfast served in the dining car and box lunch provided later during a two hour stop at the majestic Agawa Canyon. This tour also features a visit to the “Bermuda of the North”-Mackinac Island! Door County is known as the "Cape Cod of the Midwest" due to its picturesque lakeside villages, extensive shoreline and rolling woodland. This tour features a 2 night stay at the beautiful Stone Harbor Resort on the Sturgeon Bay waterfront. A guided tour of Door County will highlight the charming communities of Sister Bay, Ephraim, Bailey's Harbor, Egg Harbor, Gills Rock, Fish Creek and Northport. From the Thanksgiving feast to breads, sauces, coffees and teas, cranberries are one versatile fruit. Experience the annual autumn harvest of one of America’s native berries – the cranberry. See cranberry marshes ablaze in shades of scarlet with colorful fall foliage all around. Freshly harvested cranberries available for purchase. Come join us on this beautiful autumn getaway to Cranberry Country – you’ll be “berry” glad you did! Get away from it all on the perfect autumn trip to one of North America’s most attractive cities - Quebec City, Canada. This historic walled city overlooks the valley of the St. Lawrence River. With vivid maple leaf fall foliage coupled with charming European inspired architecture, the quaint streets of Quebec will take you back to medieval France. Embrace elegance on this autumnal getaway to one of America’s most beautiful, historic landmark resorts – the West Baden Springs Hotel in the quiet village of French Lick in southern Indiana. Lavish guest rooms, grand ballrooms, superb cuisine, fine amenities, afternoon tea, artfully designed landscaped grounds and the awe-inspiring, domed grand atrium await you. Pamper yourself in the lap of luxury! Branson is America’s Music Showplace and is especially fun and festive during the holiday season. Highlights include the Brett Family Christmas Show, Osmond Brothers & Lennon Sisters, Sight and Sound Theater, and Showboat Branson Belle! This trip features a two night stay at the new, luxurious Hilton located at the area’s newest attraction: Branson Landing Promenade – a festival marketplace complete with shops, eateries and a dazzling water, sound & light fountain show along scenic Lake Taneycomo. Pigeon Forge and Gatlinburg transform into a festive wonderland of twinkling lights during the Winterfest Lights Festival. Entertainment abounds with professional musical theater shows! Celebrate a Smoky Mountain Christmas - Dolly Parton style - at her brand new DreamMore Resort! Marvel at her Dollywood park featuring holiday lights & decorations, music shows, mountain craftsmen, and a variety of interesting attractions. 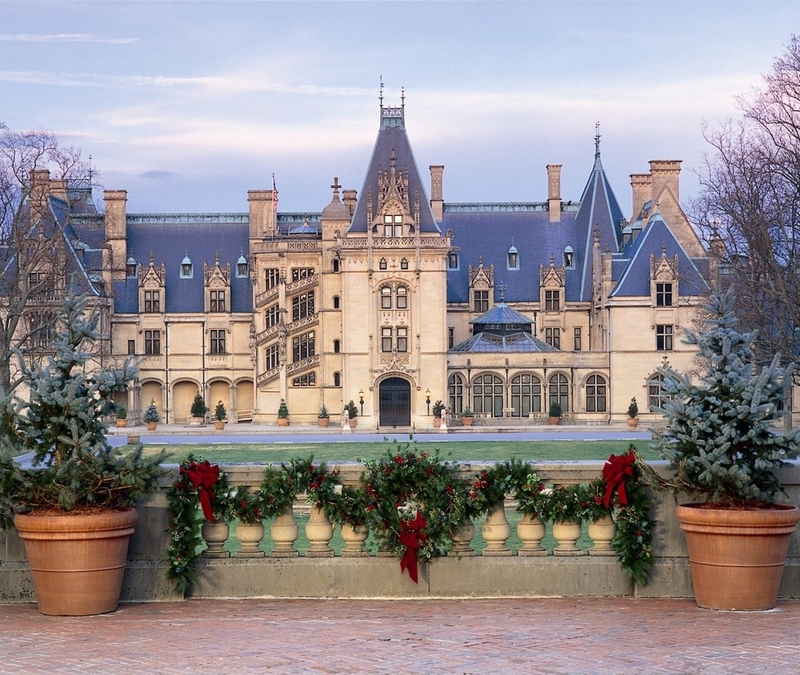 Get in the holiday spirit as we visit the Music City-Nashville, Tennessee! Enjoy a four night stay at the magnificent Opryland Hotel. This trip will feature a guided tour of Nashville highlighting Music Row Recording Studios Area, homes of Country & Western Music stars, the Parthenon, Ryman Auditorium, the Country Music Hall of Fame and more. Experience the heartwarming sentiments of Christmas past and present with a visit to the Hallmark Visitors Center and corporate headquarters which features exhibits about the company's history including historic greeting cards and postcards, Christmas ornaments, exhibits from the company's art collection, and displays about the Hallmark Hall of Fame programs. California: it’s full of sunshine, movie stars and the annual Tournament of Roses Parade! 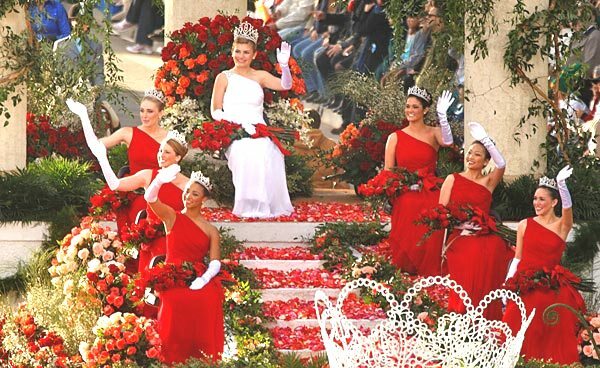 An American New Year’s Day tradition, the Tournament of Roses Parade has all the bells and whistles – magnificent floral floats, high-stepping equestrians, spirited marching bands, celebrities and more!